Ireland ranked 11th for R&D intensity in the EU, one step up from its neighbours in the United Kingdom. Through a combination of spending from multinational companies and a willingness to adapt to the many tech trends currently changing the business landscape, Ireland is in prime position to become a desirable tech hub for qualified professionals worldwide. So, what's on the horizon? Before we get to the cool tech trends, we have to cover the basics - like actually having space for companies to startup and grow. 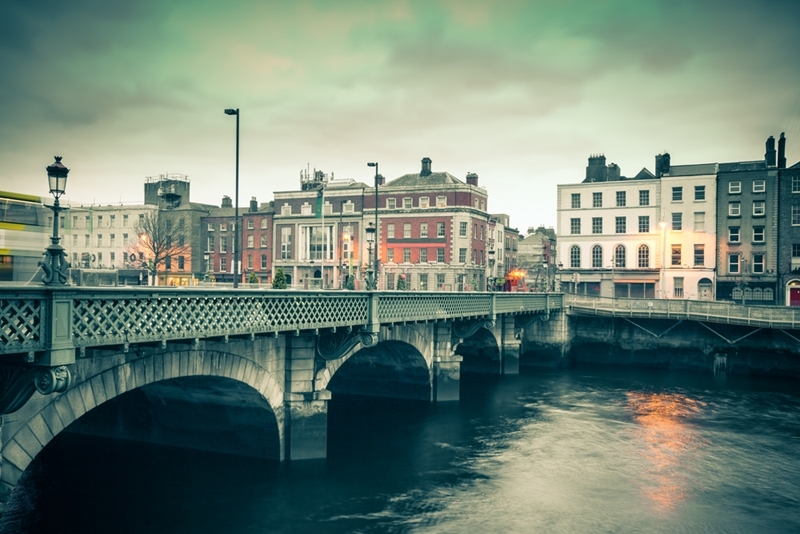 In previous years, Dublin has been grappling with a number of challenges in regards to its office space, as high demand and low supply lead to growing rents, The Irish Times reported. Now, there are signs that's changing. Dublin's city centre is still hot property, but the Independent found that the amount of available office space is growing as more space becomes available. At this stage 2017 is set to double 2016 rental rates, and these numbers could double again in 2018 and 2020. Office space is at a premium in Dublin. Staying with the property side of the industry, Ireland is also undergoing an internet upgrade rollout that's similar to the national broadband network Australians will be familiar with. Ireland's National Broadband plan aims to bring fibre broadband to every home in the country - essential infrastructure for any economy looking to become a tech powerhouse. A rapidly changing retail model poses major challenges for businesses that can't keep up. The latest "bricks and clicks" model - where physical stores and interactions are supported by digital engagement - is one of the few hopes some stores have of preventing customers from fleeing to online-only megastores like Amazon. The "bricks and clicks" model is changing retail. However, for consumers to be able to engage with businesses - remember we established that Irish businesses are extremely active on social media - there needs to be a mobile network that allows them to do so while they're out and about. This isn't quite the case for the whole country. The Independent reported that the current regulatory environment means there's no pressure for mobile providers to extend 3G and 4G coverage outside of major population centres. That doesn't just impact consumers, but the remote workers and contractors tech businesses so often rely on as well. Thankfully, this will change, but not until new 5G licences are issued in the coming years. Many current tech trends have global implications, so professionals moving to Ireland will find that lots of the concerns and buzzwords they're familiar with (or bored with) in Australia are just relevant on the other side of the world. One of the major ones, according to Irish Tech News, is financial technology (Fintech). Along with discussion about the eventual uptake and mainstream approval of Bitcoin and other blockchain technologies, Visa found that Irish consumers are making up to three million contactless payments per week. Considering the company also revealed that more than 80 per cent of Irish 18-24 year olds use their mobile phones to either make or monitor payments, there seems to be a real appetite for Fintech at a number of levels in the country. Ireland's ongoing development in the tech space will see it become an enticing target for professionals seeking a change of scenery. Just check the terrible jokes at the door, okay?